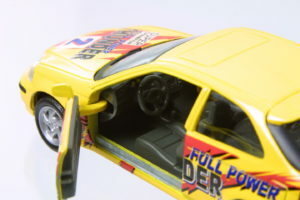 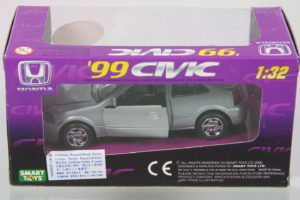 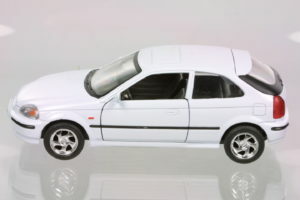 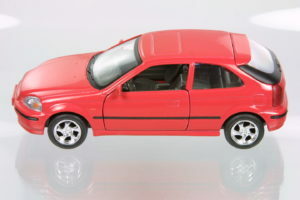 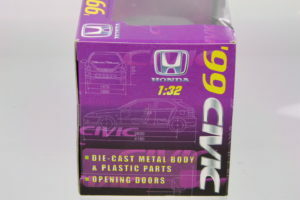 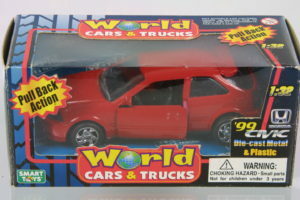 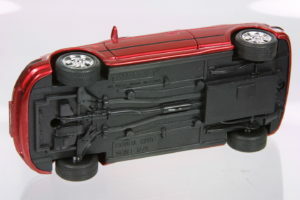 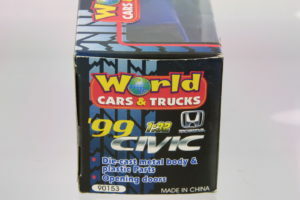 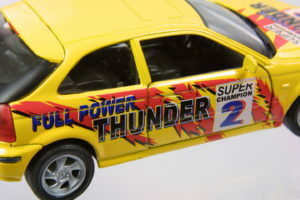 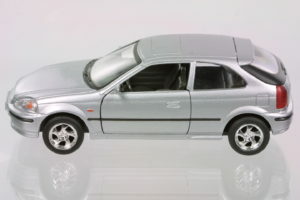 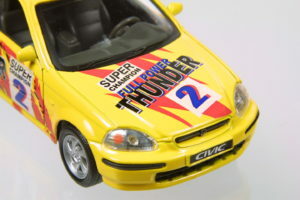 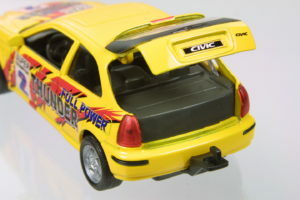 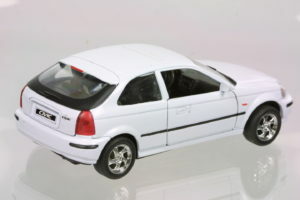 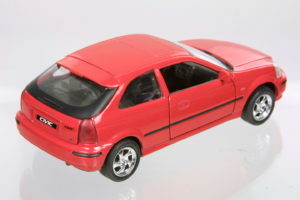 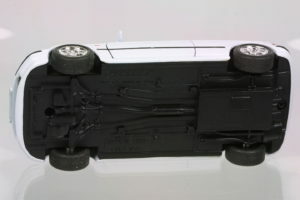 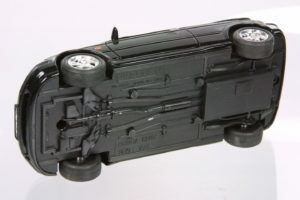 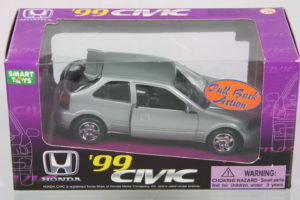 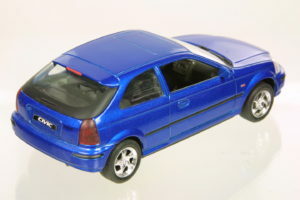 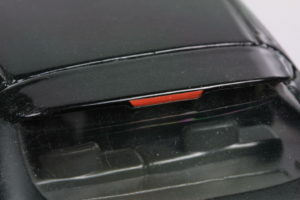 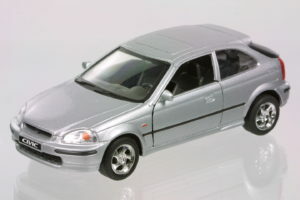 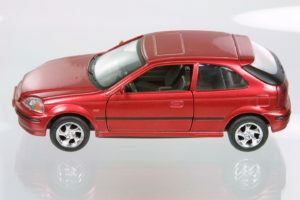 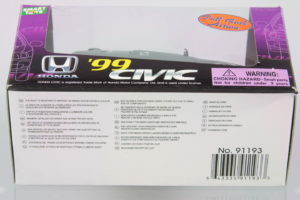 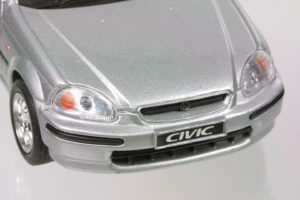 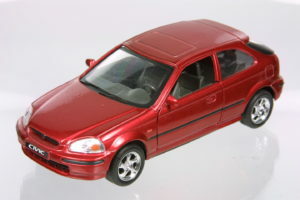 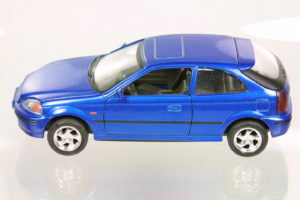 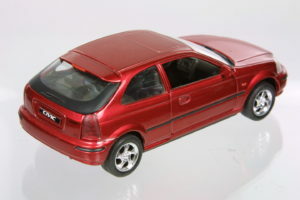 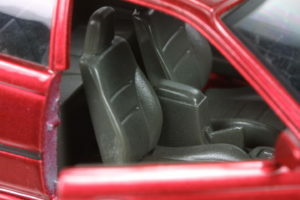 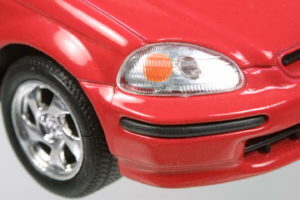 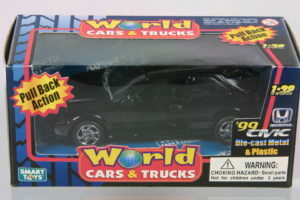 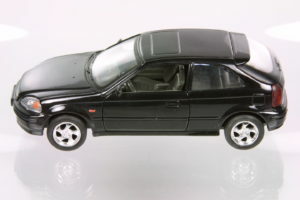 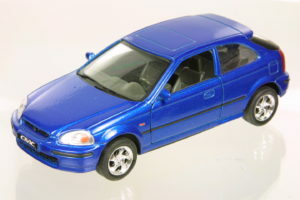 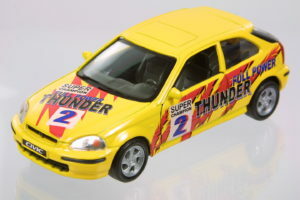 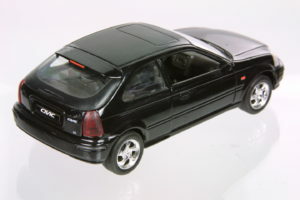 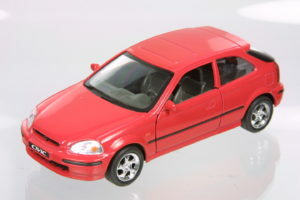 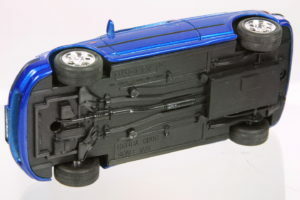 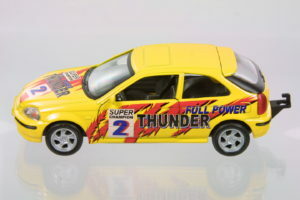 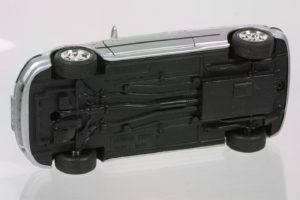 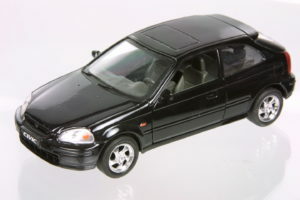 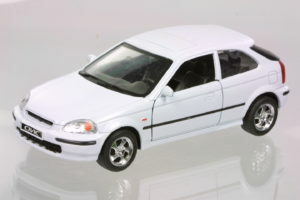 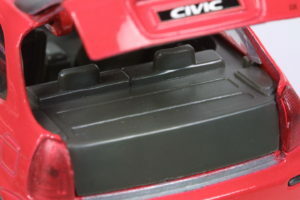 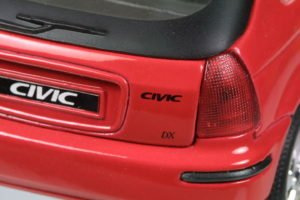 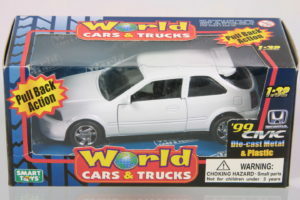 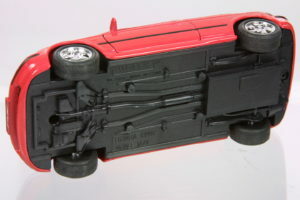 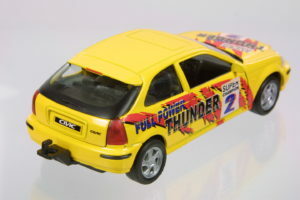 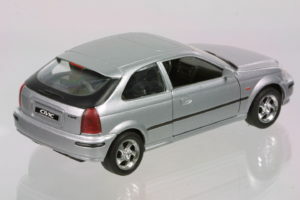 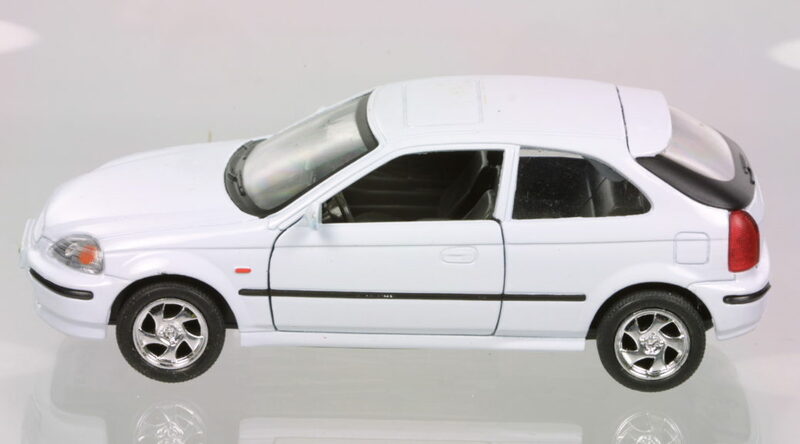 Welly released the 1999 Civic Hatchback in various exterior colors and packaging. 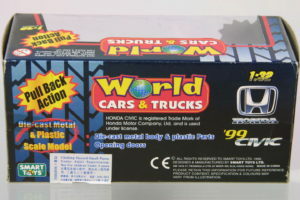 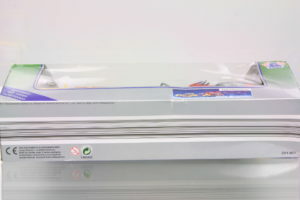 They came in either a grey or a black interior depending on packaging. 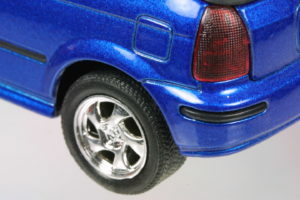 In 5 main colors including pearl/metallic maroon and blue. 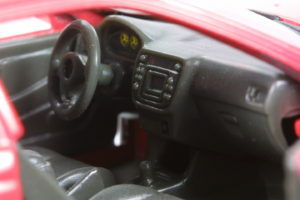 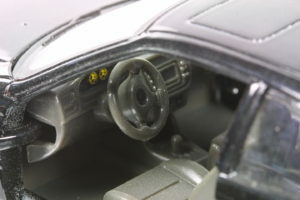 The details are quite good for a $5-10 toy. 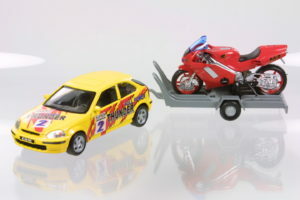 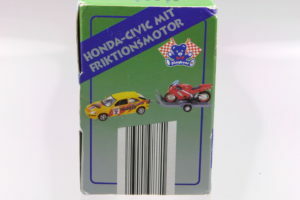 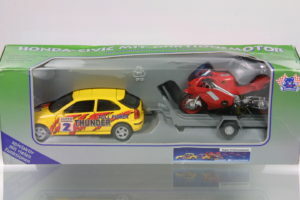 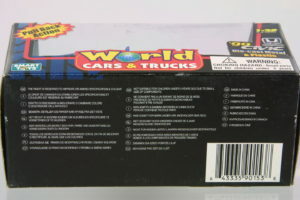 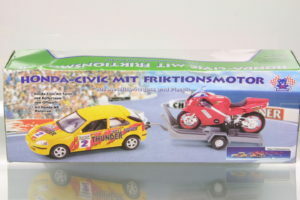 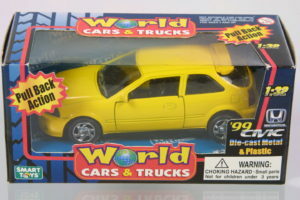 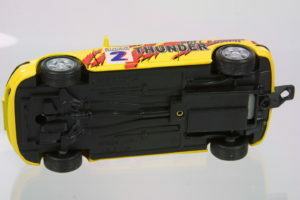 Rare Euro only version in yellow w/red markings – boxed with a motorcycle and trailer. 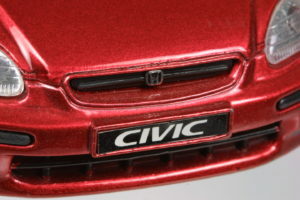 This car has a tow hook unlike the regular versions.